Ask Mark: Can I do 1 more set? QUESTION: Mark, I’m doing the 3-day per week full-body THT routine, is it OK if I add 1 more set for certain body parts? So that would be 3 sets to failure? If you are aware of my work, my recommendation of certain advanced techniques, my “blast” programs, you’ll know I’m all for experimentation. So in short, go for it! Try it. All you can do is test it in a scientific manner and see what happens. 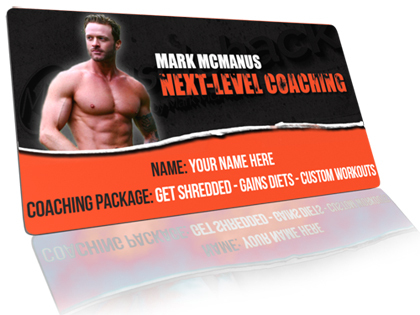 Let me explain…on the THT 3-day full-body plan, you hit each muscle with 2 sets to failure – 3 times a week. Since you train the full body, you’ll do 19 total sets per workout. If you haven’t done it yet, make some fast gains and download the full and free THT workout by clicking here. So let’s say you add a 3rd set for your biceps and chest. How can you know if it worked? On your next workout, could you get an extra rep in that set? Then it worked. 3 sets didn’t constitute overtraining for you and the 48hr rest period was sufficient for you to recover and grow. If you are weaker on that set, then 3 sets was too much and you didn’t recover in time. Remember the recovery process IS the growth process, and by doing too much work you short-circuit the growth process and you’ll literally make NO progress, NO gains. See my post here, which explains how to know for sure if you are growing and getting enough rest relative to the amount of sets you are doing. You need to know this. So to recap: Try it. If you continue to make strength progressions, keep it. If not, go back to 2 sets per muscle group. Get ripped at blistering speed without losing muscle and keep gaining in the gym. Also, you get your abs or you get your money back! That's the power of Mark's Total Six Pack Abs program. More details here. 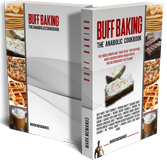 Extremely easy anabolic recipes with simple ingredients that makes fueling muscle growth feel like a cheat meal! Bars, cookies, pizza, ice cream...see pics and recipes here. A brand new workout including 9 x advanced "Shock & Awe" hypertrophy techniques to ignite pounds of new gains! It's "Game-Changing" time! Got at least 1yrs training experience? It may be time to go advanced! You've never trained like this before. Get all the details here. 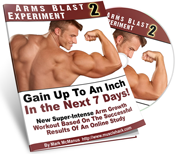 In Jan 2019 a bunch of 'lab rats' tested the New Shoulder Blast Workout and gained up to 2.5 inches in shoulder size in 7-10 days! There is a very specific type of training stress that works uniquely well for the shoulders. You're about to target it...hard! More details here. Gain up to an inch on your arms over the next week with new "hyper-intense" training techniques that literally force new arm growth. The workout is based on the results of an online study conducted by Mark from MuscleHack. More details here. 3 Workouts | 7 Days | Up to 3 inches in chest growth! A workout that will fry every muscle fiber in your pecs and literally force new and permanent growth...fast! More details here. An explosive training package for fast leg gains! 1 week | 3 x 90 minute workouts | "hyper-intense" techniques = big & fast leg gains. Up to 3 inches in growth. See more details and testimonials here. Can I give you my free muscle-building workout? Great! I’ll give it a go Mark! Weird timing on this article because I had just started doing this last month (currently on the TSPA program, 3 days cycle). After set two, I immediately drop weight and go for a burning set and have liked the results for the most part. Mark McManus is a trainer & author from Ireland. He is CEO of MuscleHack and creator of THT training. He says, “I believe that THT training is the single best way to train for size and strength gains. It works, it’s been proven by thousands, and it’s totally free." MuscleHack is simply one of the BEST sites on the net for free tips on how to gain muscle fast and lose fat. Mark's work has been featured in Iron Man magazine, Perfect Body Magazine, Bodybuilding.com, LifeHack.org, LiveStrong, and many top publications and sites. How Long To Get A Six-Pack? FASTEST System For Getting a Six-Pack! How Many Calories to Build Muscle? You'll love your fast gains on THT!